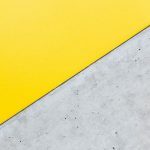 In my talks with students and work with clients, I often use the terms Enterprise Knowledge (EK) and Enterprise Value (EV) — and, specifically, how the former supports and enables the latter. But what are these? 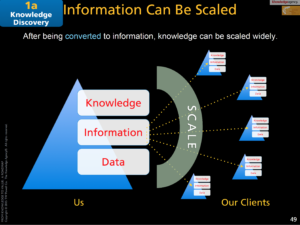 Here, I’ll clarify the basics of EK — knowledge as an enterprise asset or resource. Let’s start at the beginning: What is knowledge? Merriam-Webster defines it tautologically as “The sum of what is known.” However tempting it may be to define knowledge as “what we know,” that doesn’t advance our understanding much. What is it to “know” something? Philosophers have discussed this question since at least 2500 years ago, when Socrates (as reported by Plato in the dialogue Theaetetus) compared knowledge to a flock of doves that one keeps in a cage. That is, we “possess” knowledge only in the sense that we have placed a boundary around it, and can call upon it whenever we need to. Doves in a cage is actually a pretty good metaphor for Enterprise Knowledge. That said, it’s instructive and amusing to note that at the end of their dialogue, when Socrates poses the question of whether they have shed any light, or merely filled the air with hot air — both he and his interlocutor agree that the latter is the regrettable result. We can at least agree that “know” is a broad term that includes a range of faculties — from “I know that the capital of Montana is Helena” to “I know how to ride a bicycle.” These are two very different meanings — knowing that (technically known as propositional knowledge) and knowing how (known as prescriptive knowledge). But they have in common that knowledge is seen as an intangible resource contained within people’s heads. Discussions on the nature of knowledge rambled on for centuries without much in the way of resolution — or even empirical evidence to support them. While often engrossing to knowledge nerds like myself, most of these discussions did not hold great consequence for people with a more pragmatic bent. Things changed in 1962. This is when a pioneering economist (Fritz Machlup) in effect posited Knowledge as the Fourth Resource — along with Land, Labor, and Capital that had been the foundational resource trilogy of “classical” (i.e., mercantile and industrial) economics. 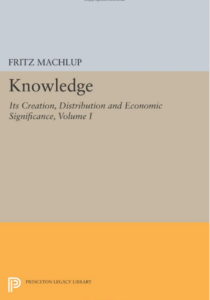 Machlup was the first to describe and measure the knowledge economy, which he calculated as already 29% of US output and 32% of US employment by 1958. Bear in mind that this was a time when the digital technologies that would later come to dominate the last decades of the 20th century had barely begun to be developed. Visionary thinkers quickly recognized the importance of Machlup’s discovery. Peter Drucker, for example, spoke during the late 1960s of a rising class of symbol-manipulating “knowledge workers” and uttered such iconic phrases as “knowledge is the business” — acknowledging the centrality of this newly-discovered resource to business competition and strategy. But Knowledge is a sort of step-child of the “classical” economic resources. After all, we have sciences — or at least well-developed disciplines — for Land (in physics and chemistry), Labor (in organizational psychology), and Capital (in financial economics) — but not for Knowledge. Without a science of knowledge — a body of empirical evidence and tested theory — how can we begin to manage this pivotal resource? How can we “industrialize” knowledge? Not only is Knowledge non-empirical — it’s also invisible from an organizational point of view. Knowledge assets are flung far over the organizational landscape and are managed separately, in silos. They do not even appear in any direct way on the enterprise’s formal charts of accounts and accounting statements. We begin with the question of scale. In a large complex enterprise — an organization with a defined, shared purpose or mission — our resources scale, such that (for example) our physical resources, human resources, and financial resources mass together and create an aggregate whole far greater than the sum of its parts. But if Knowledge is, as we noted earlier, what’s in people’s heads — how does this “epistemic resource” scale? A typical approach is to agree that we should all “share knowledge” — an approach that often violates universal human needs for individual achievement and recognition. In practice, an effective solution must be more nuanced. It lies in first transforming Knowledge (which is inherently individual and tacit) into explicit knowledge, or Information. Digital technologies enable Information to be scaled widely and inexpensively, at the speed of light, with little loss of meaning (“signal”.) Information is thus the medium of knowledge transmission. That’s not to mistake transmitting information for transmitting knowledge — a rabbit-hole down which too many organizations fall. Where the former is relatively easy and cheap, the latter is relatively hard, labor-intense, and expensive. In science fiction like The Matrix, a person’s entire knowledge can be captured and instantly downloaded to another person. How I wish it were so! In the real world, the transfer and scaling of knowledge is a slow and laborious process. For a doctor to “download” into her head the knowledge needed to even begin practicing medicine, it takes at least a decade of study and training — and the investment of hundreds of thousands of dollars. In the real world, Knowledge itself cannot be directly transferred. The step of transferring Person A’s knowledge to Person B involves first translating that knowledge into information — words spoken or written, audio or video recordings, databases, etc. This “K-I transformation” is labor-intensive — as I can attest as I experience this process first-hand in composing these words. Once my knowledge has been captured or “codified” as words on this page (i.e., as information), then you (dear reader) are invited to do a reverse “I-K transformation” in order to unpack the information and capture it as knowledge of your own — reciprocal processes we know respectively as teaching and learning. Both K-I and I-K transformations have varying rates of fidelity of the end result. Some people teach faster and more effectively than others, and conversely some people learn faster and more effectively than others. And there is always “noise” or distortion inherent in the process. 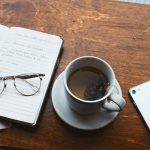 To further complicate things, in an enterprise (for example, a business, nonprofit, or government agency), most of these K-I-K translations are socialized — they happen in groups, often on both the originating and receiving ends. We Homo sapiens are social creatures, and the ways we behave and function in groups is often at odds with how we behave and function as individuals. 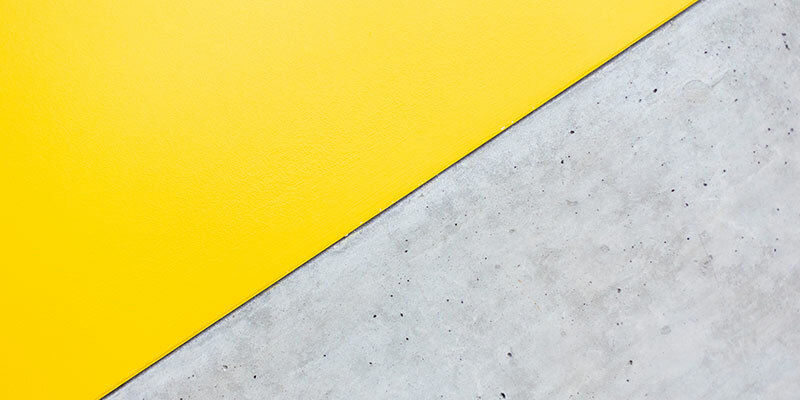 Social behavior and cognition are in fact so different from individual behavior and cognition — for better, and for worse — that there have arisen whole schools of organizational and social psychology to attempt to understand and explain these differences. Social effects include value-enhancing ones — like the network effect that makes social scaling exponentially powerful — and value-eroding ones like entropy — the natural tendency to slide toward disorder as scale increases. 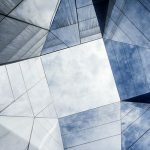 While Knowledge is now widely accepted as a key enterprise resource, this resource paradoxically remains at best dimly understood — there is no science or even accepted “body of knowledge” by which to manage, measure, or even clearly describe it. While we are gifted with virtually instantaneous, global, inexpensive transmission of Information — the transmission of Knowledge (K-I-K) remains slow, labor-intensive, and imperfect. develop enterprise solutions that realize and capture the value thus unleashed.